Savanna Agricultural Research Institute (SARI) is one of the thirteen (13) research institutes of the Council for Scientific and Industrial Research Institute (CSIR). It was originally known as the Nyankpala Agricultural Experimental Station (NAES) and operated as an outpost of the Crop Research Institute (CRI), Kumasi. In 1994, it gained autonomy and was upgraded to a fully-fledged research institute and thus renamed Savanna Agricultural Research Institute-SARI for short. 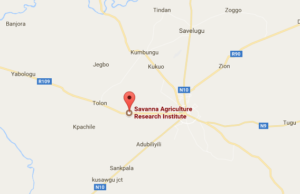 SARI is located 16 kilometres west of Tamale in the Tolon District of the Northern Region of Ghana. 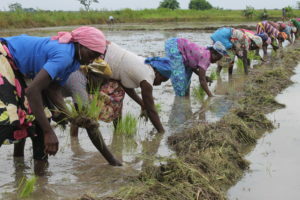 SARI’s mandate is to provide farmers in the Northern, Upper East and Upper West Regions with appropriate technologies to increase their food and fibre crop production based on a sustainable production system which maintains and/or increases soil fertility. SARI has adopted a bottom-up approach in its research activities. This approach is called Farming System Research (FSR). FSR aims at making SARI realize its research objectives in more practical and concrete terms. The approach emphasizes a thorough investigation of the circumstances of the farm household as a basis for determining the technical research programme. It also demands the implementation of research mainly on-farm and in collaboration with Ministry of Food and Agriculture (MoFA) staff and NGOs in the field.